Established in 1999 the company has a wealth of experience and offer a professional and comprehensive range of legal and investigative services to the Legal, Corporate, Financial and Private sector. Ocean Legal's charter is to provide a high qulaity professional and affordable investigation service to our clients. The services provided are completely confidential and available 24 hours a day. With offices situated throughout the Uk and Spain we are able to offer a fully comprehensive service to our clients. 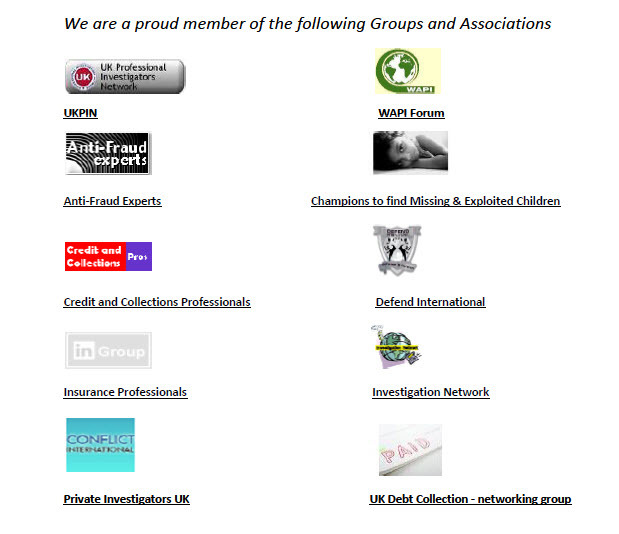 We are a proud member of the FSB and the following Groups and Associations.